Below are land use projects that may be of special interest to the community. The status is updated as projects progress and staff time allows. The City has received an application for a preliminary site review for the phased replacement of the pool and community center. The application has been determined to be complete. The City is currently receiving comments based on the initial submission. An additional comment period and public hearing will be available. 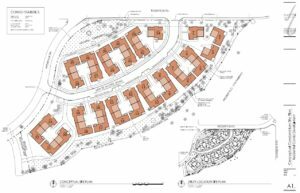 Final site plan documents (landscaping, building design, etc.) have been submitted for review. Once those have been approved, building permits may be applied for and issued. The City has approved building permits for the restaurant. Work has commenced. No opening date has been provided to the city.